An Industry Specific Digital Marketing Training. Learn The Real “Digital Marketing” from Industry Geeks. At SSB, you will receive a modern, an expert-curated learning path and an interdisciplinary approach to Digital Marketing training. The Industries want smart marketers who are expected to be complementary in analytics, content, copywriting, social media etc. 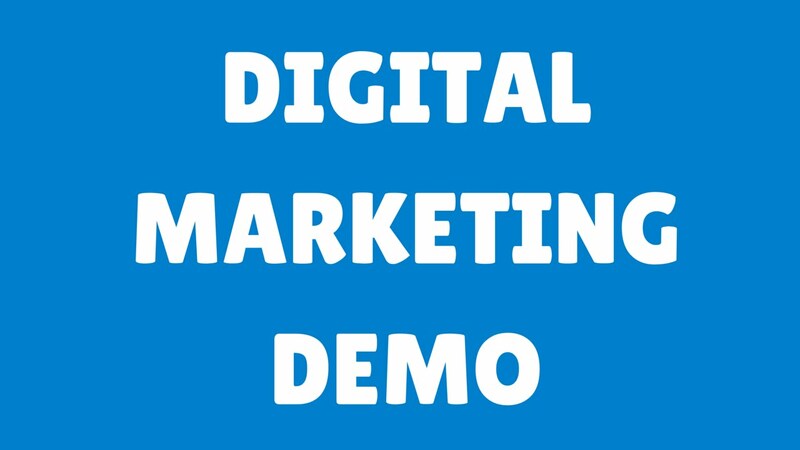 The step-by-step plan designed to gain the skill set of a digital marketer capable of managing the digital marketing initiatives in an organization. The structured curriculum is trusted by enterprises across the globe. The curriculum is for aspirants at all skill levels, regardless of experience and background. Typically, while considering a certificate provider, it is usually a matter of who’s popular. SSB is a well-versed service provider from 10 years and has served successfully to many clients across the globe. The certificate does a good job in introducing a novice digital marketers to the world of online marketing across India that the people on the public internet can trust you. SSB’s Digital Marketing Certificate can be chained back as a base eligibility to take other digital certifications like Adwords, Facebook Blueprint and like such. SSB is a place to make you as the best fit because you know what to do to make a business best. In 10 years of successful journey, we have helped the marketing needs of district business across the globe. Our success stories are spread around the space. Students who are trained at SSB are considered as industry ready experts. They are either get placed in SSB or being sent to our clients. 82% of our students are serving in the digital marketing world already running a success stories. Why You Should Learn Digital Marketing Course From Us? A Decade old Marketing and branding company successfully delivering Inbound Marketing Services, Lead Generation, Digital Branding services for globally recognized B2B & B2C companies. A HubSpot partner, with certified Hubspot & Google professionals. As a Marketing company, we have come across Industry needs and expectations from a newborn’s. Hence, SSB started a unique training program that provides Industry specific modules satisfying the Market standards.The Certified Digital Marketing Specialist who are having a proven experience in digital business serve as mentors and the Internship program on live projects makes a beginner as Industry ready challenger. SMM became a fundamental factor in synergizing branding strategies and building brand awareness. One should analyse the Industry, customers and business outputs to create a Social Media post. The Institution provides a unique Social Engine Marketing (SEM) techniques and PPC Training that makes everyone to practice on real time projects. This makes us to be Skillful Digital marketing professionals. Unlike other digital marketing training centers and training institutes, the masters here are ethical and professional enough to guide a student. They make every class interesting by making us to think what best solution we can draw for a business, if we are a real Digital Experts of that company. Every Master pays a personal interest on each student. My life is changed from Insecure, unstable and heat burning job to a secure, stable and a balanced life at Smart Social Brand. Bold turn from microbiology to SEO. I am now efficiently skilled in Search Engine Optimization. The Digital Marketing Training along with the internship give me confidence about my turn was a right fit. It was a wonderful journey to be a part of SSB. My life goes pleasant. I expect a bright future. Adwords, Keyword Analysis, Webmaster etc. are some of the important tools for every Digital marketing professional. Understanding the concepts is only one third of the course. One should practice these tools on real time project in order to gain expertise. SSB makes us feel like a stellers. At SSB, the classroom does not look like common black boards but it is a corporate meeting boards. I used to work as a Purchase officer in a logistics department of health care industry. My break as a mother made me a homebird for some years. SSB shown me an insight to regain my abilities to work. I am now working successfully as a freelancer and managing my household works peacefully. I regained my worklife. I am confident and happy. At SSB, the learning path begins from basic knowledge sharing then providing an experiment. Experiments make them to engage with every topic. The results of the experiment are then individually examined by our Mentors. The techniques are practically implemented by mentors helps them to analyze the process along with the concept. The fundamental exercises to mastering the subject and advanced experiments are wisely curated in the Digital marketing course. What do I get after completion of the course? What is Smart Social Brand? An Hubspot Certified Agency partner who have implemented Inbound Marketing practices over cross functional industries across the globe.Successfully helping and had helped many companies by making growth driven marketing wonders from the past 10 years. Why does one take a certification from Smart Social Brand? It offers teaching professionals not only certified from Hubspot in the stream of Content, Inbound Marketing & Sales and Growth Driven Business Analysis but also working successfully by implementing their abilities successfully. The modules are according to Industry expectations. A Unique mode of skill assessments on real time company driven clients. Internship involving in live projects of SSB. They are the experienced and loyal professionals associated with SSB in the stream of Digital Marketing, SEO & SMM, Inbound Marketing, Content & Email Marketing etc. How valid the topics are? The topics covered under each module are specific to the domain in which the technique is implemented. Who will assign the practicals? The concerned executive working on that particular technique/topic will assign an exercise and the respective suggestions are provided during the practice. How are skill assessments tests are done? Is there any Age Limit for taking this course? I am on maternity break/ not working for 2 years. Am I eligible to take the course? Yes, Of Course.The experience that you gained in your previous profession would always be an added advantage for you. I do not belong to IT stream, I belong to Science/Arts/Commerce background.Am I eligible to become a Digital marketing expert? Digital marketing is everywhere. Every stream, every industry requires a Marketing expert. How many days are you providing the Internship?